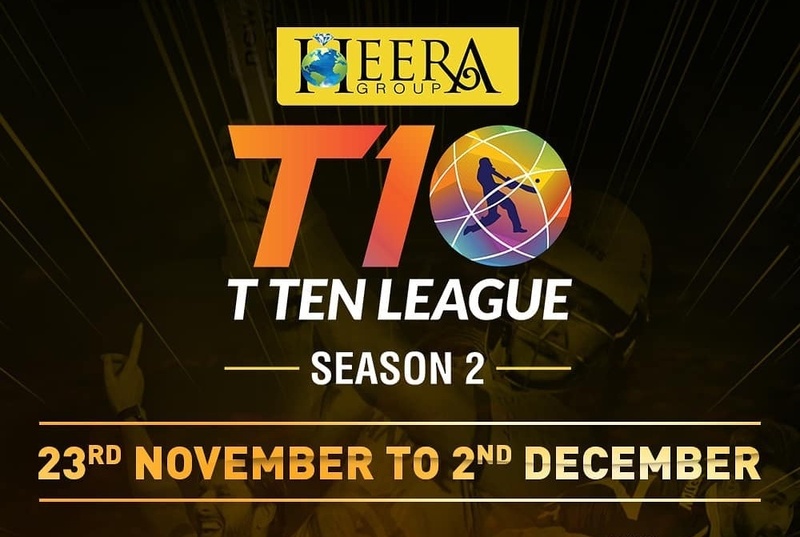 The second edition of the much-awaited T10 league is all set to start form 21 November, Wednesday in Sharjah Cricket Stadium. 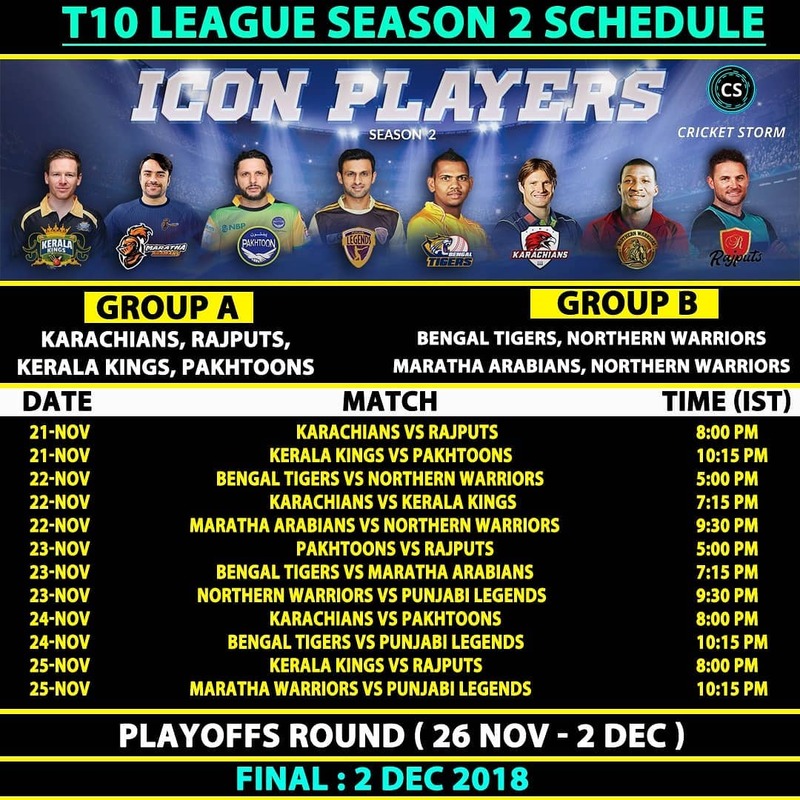 A total of 8 teams are participating in this season, including some of the leading cricketers in the world are enrolled in this new format of the game. 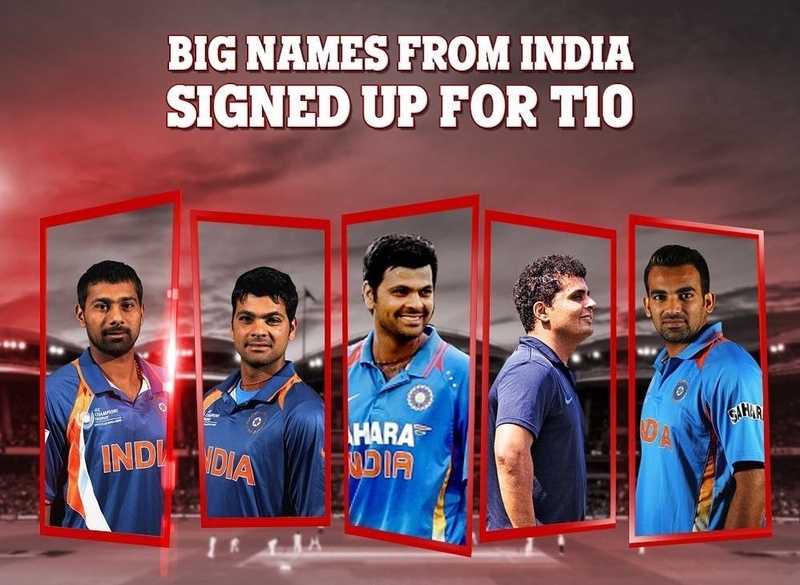 More than 80 International players are taking part in thesecond season of T10 Cricket League. The 8 teams are divided in two groups. Karachians, Kerala Kings, Pakhtoons and Rajputs are placed in Group A. On the other hand, Bengal Tigers, Maratha Arabians, Northern Warriors and Punjabi Legends are in Group B. Apart from them, Virender Sehwag will be the League Icon of Season 2 and Robin Singh will be the head coach of Northern Warriors. 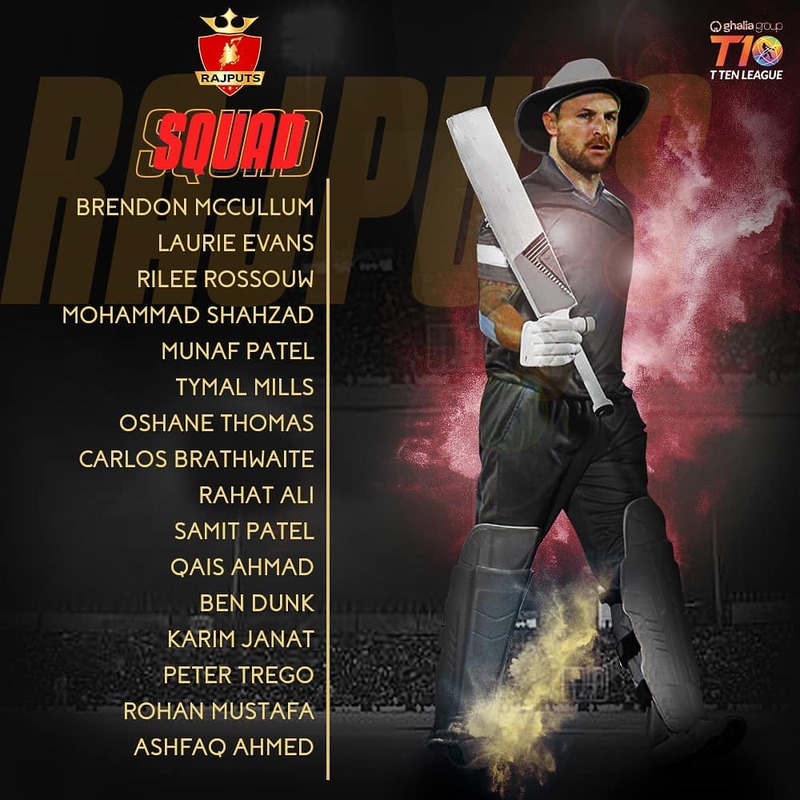 The opening match of the league will be played between Karachians (Watson) and Rajputs (McCullum). The 8 teams will play three games with other teams in the Group. A total of 12 matches will be played in Group stage and 29 matchesin overall. While the final match will be played on 2 December and All the matches will be broadcast live in Sony ESPN anf Sony ESPN HD and can be streamed live over Sony Liv app and Jio TV. 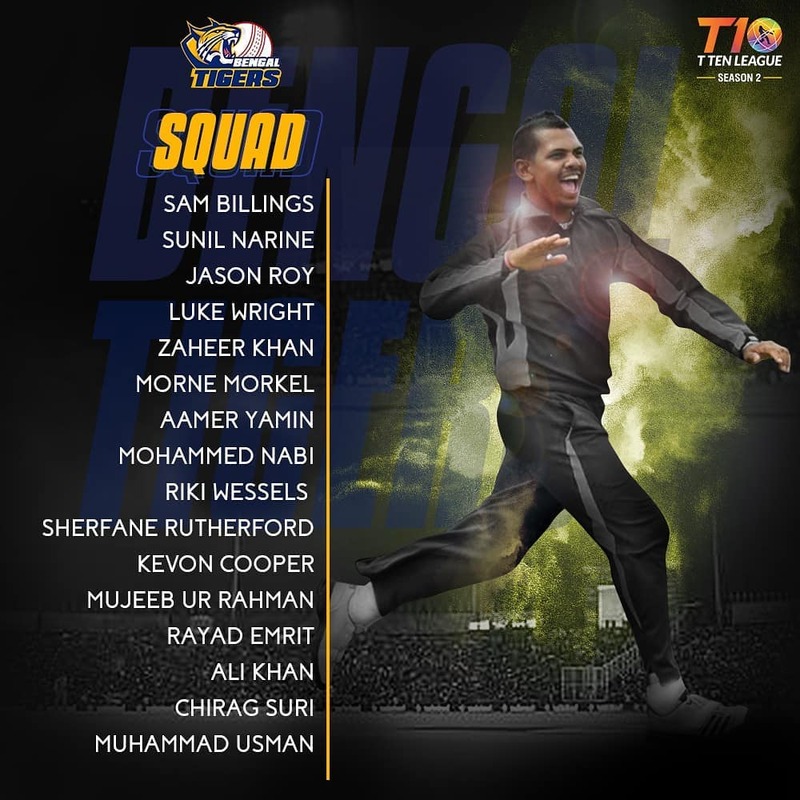 Eon Morgan (Icon player and captain), Kieron Pollard, Sohail Tanvir, Paul Stirling, Dasun Shanaka, Chris Gayle, Junaid Khan, Sandeep Lemichhane, Tom Curran, Fabian Allen, Niroshan Dichwella, Imran Nazir, Benny Howell, Wayne Parnell, Mohammad Naveed, Abdul Shakoor, Reetinder Singh Sodhi. 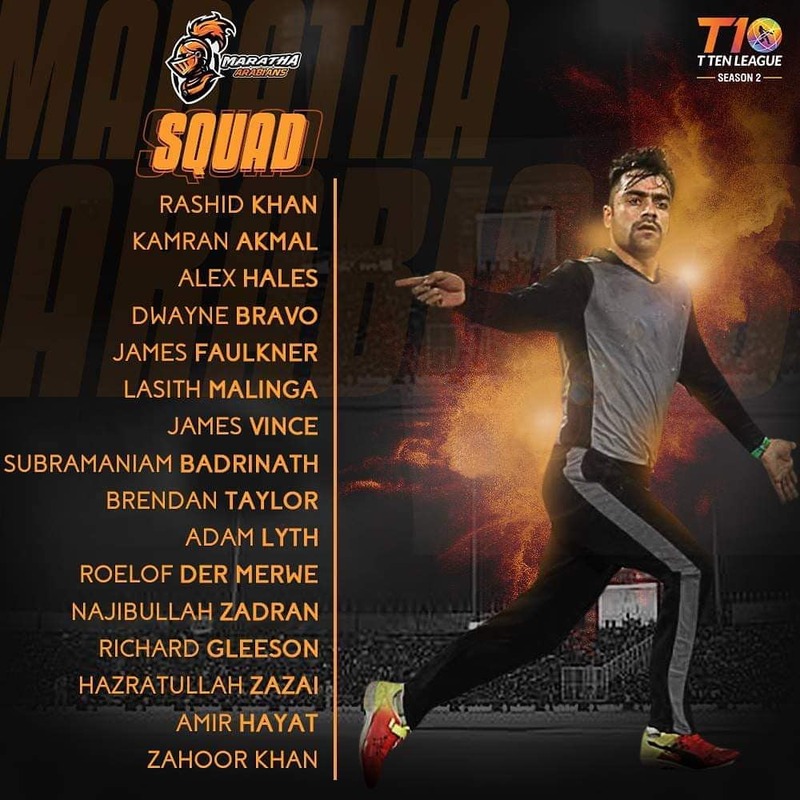 Rashid Khan (Icon player and captain), James Faulkner, Alex Hales, Dwayne Bravo, Kamran Akmal, Lasith Malinga, James Vince, Liam Livingstone, Brendan Taylor, Adam Lith, Roelof Van der Merwe, Najibullah Jadran, Richard Gleason, Hazratullah Zazai, Zahoor Khan, Amir Hayat, Subramanian Badrinath. 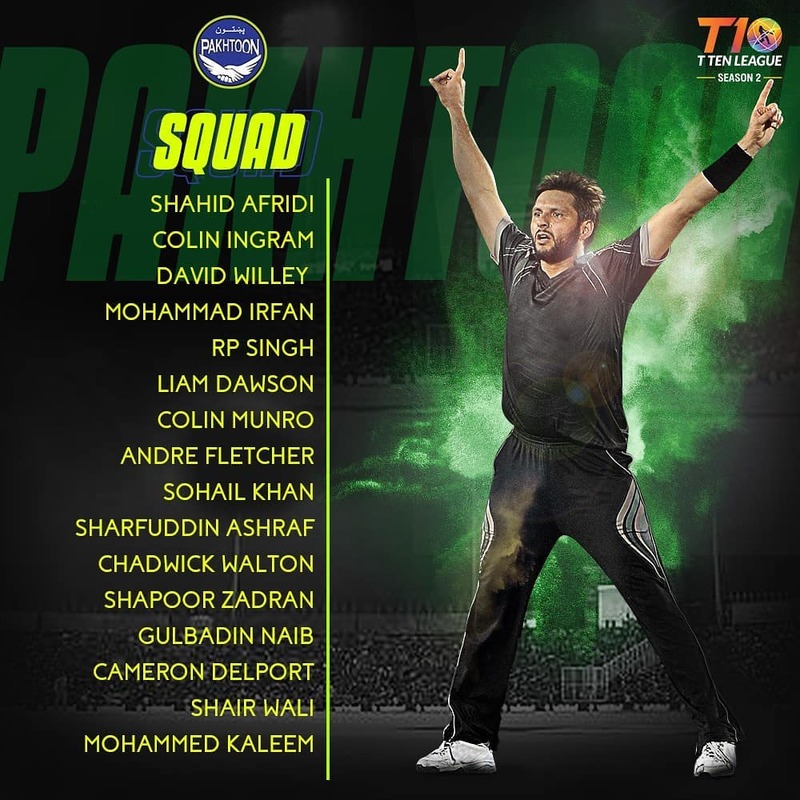 Shahid Afridi (Icon player and captain), Colin Ingram, David Wiley, Mohammad Irfan, Liam Dawson, Colin Munro, Andre Fletcher, Sohail Khan, Shafarfuddin Ashraf, Chadwick Walton, Shapoor Jadharan, Gulbadin Naib, Cameron Delport, Muhammad Kaleem, Sher Wali, RP Singh. 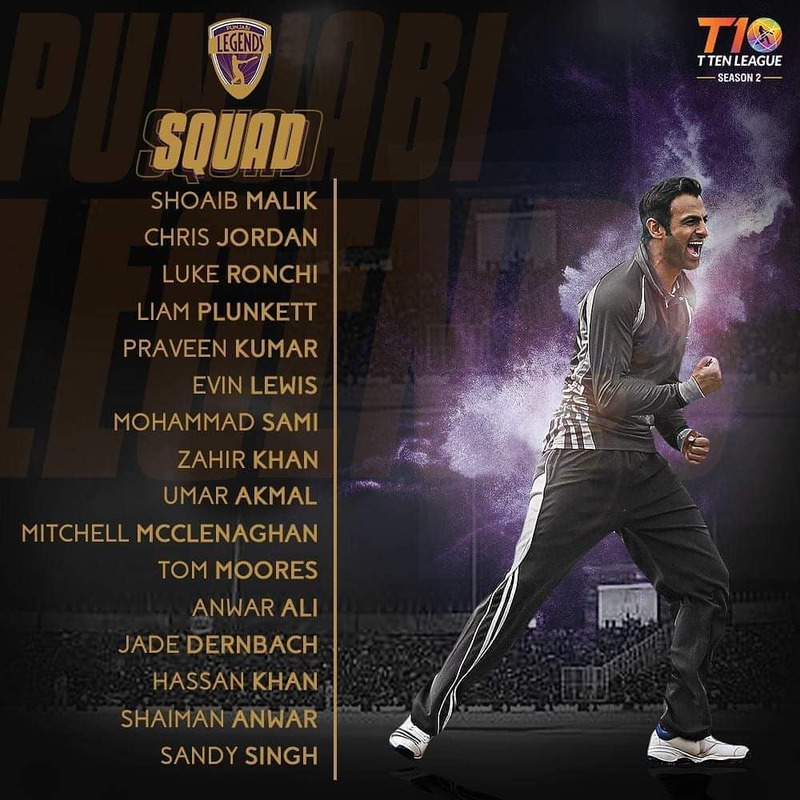 Shoaib Malik (Icon player and captain), Evin Lewis, Chris Jordan, Luke Ronchi, Liam Plunkett, Mohammad Sami, Zahir Khan, Umar Akmal, Mitchell McClenaghan, Tom Moores, Anwar Ali, Jade Dernbach, Hassan Khan, Shaman Anwar, Sandy Singh, Praveen Kumar. Shane Watson (Icon player and captain), Jofra Archer, Anton Devchich, Ben Laughlin, Ben Cutting, Mohammed Nawaz, David Malan, Fawad Ahmed, Isuru Adana, Joe Clark, Shamulla Shanwari, Mohammad Irfan, Denesh Ramdin, Ahmed Raza, Ghulam Shabar, Thisara Perera, Pravin Tambe. 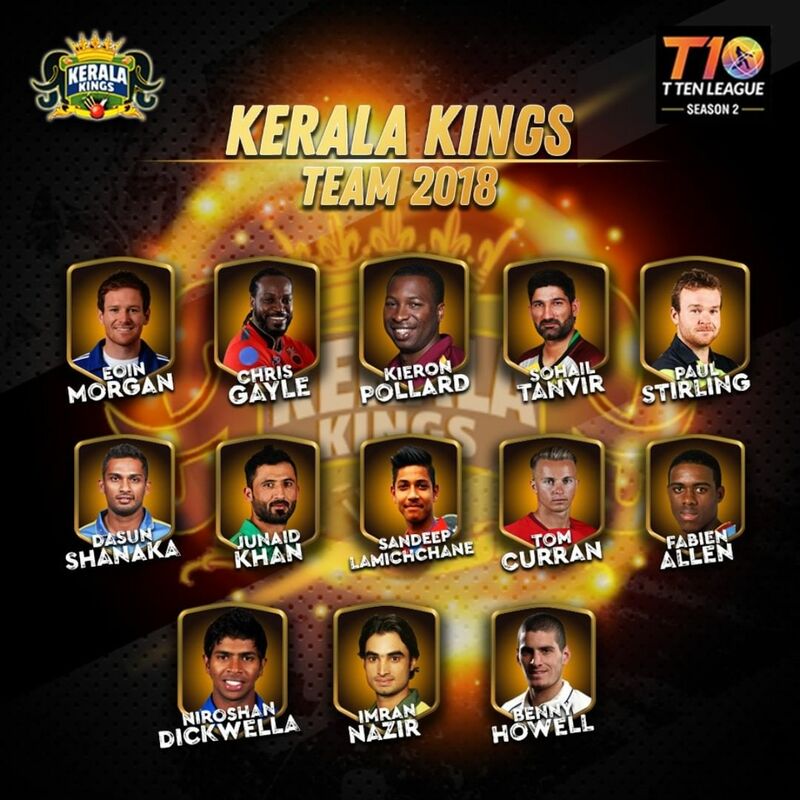 Sunil Narine (Icon player), Sam Billings (captain), Jason Roy, Asif Ali, Mujib ur Rehman, Morne Morkel, Amir Yameen, Mohammad Nabi, Kushal Perera, Sherfen Rutherford, Kevin Cooper, Raid Amrit, Ali Khan, Chirag Suri, Mohammad Usman, Zaheer Khan. 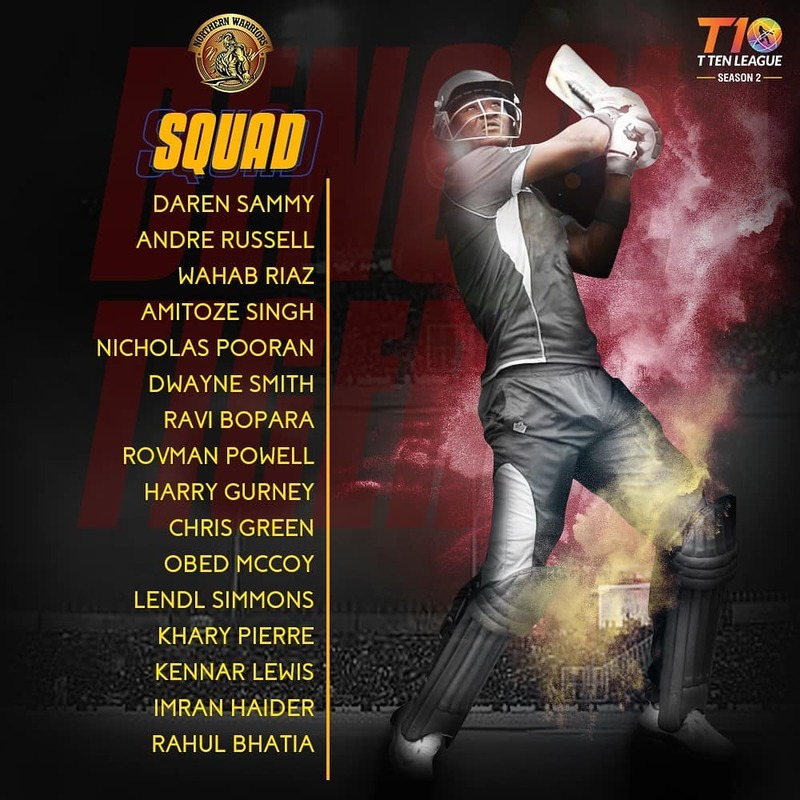 Darren Sammy (Icon player and captain), Andre Russell, Dwayne Smith, Wahab Riaz, Nicolas Puran, Ravi Bopara, Rowman Powell, Harry Gurney, Chris Green, Obed McQuey, Landl Simmons, Khairi Pierre, Kenner Lewis, Imran Haider, Rahul Bhatia, Amitoze Singh. Brendon McCullum (Icon player and captain), Mohammad Hafeez, Rilee Rossouw, Chris Lynn, Mohammad Shahzad, Tymal Mills, Carlos Brathwaite, Rahat Ali, Samit Patel, Kayas Ahmed, Ben Dunk, Shan Masood, Peter Trego, Rohan Mustafa, Ashfaq Ahmed, Munaf Patel.